21 Oct 2018 – We noted Soh’s allegations on a fellow national runner, Ashley Liew. Soh is entitled to his opinions. We stand by our athlete, Ashley, and the decision by SNOC and the International Committee for Fairplay to nominate and confer Ashley the Fair Play Trophy award. Award recipients since it was introduced in 1965 include, amongst many established athletes, Olympians Abbey D’Agostino and Nikki Hamblin. It is public knowledge that this is not the first time Soh has adopted a controversial and provocative stance towards fellow athletes. His actions speak contrary to his purported claims of professional camaraderie, teamwork and integrity. We firmly believe these values underpin the high standards of conduct expected, and deserving, of national athletes. We also note that there is no material basis in Soh’s allegations that warrants any further comments. While it is anyone’s guess as to what Soh’s motives are, we choose to focus on our mission to help athletes focus on their development on and off the field, support meaningful social causes and bring national sports to a higher level. Soh’s actions are unhelpful at best, and spurious at worst. We wish Soh all the best in his athletic pursuit. From all of us here at RunONE and ONEathlete, we will like to wish our dear readers, supporters, community and corporate partners as well as friends and family from all walks of life – a blissful, enjoyable festive long weekend and smooth-sailing year ahead. May the year of the Dog bring you good health, financial freedom and abundance! On 4 Feb 2018, national marathoner, Ashley Liew, was invited onto 938Now’s talkshow, The Champion’s Mind with host Paul Sng, to talk about how he pursued competitive running while completing his doctorate. In it, Ashley also touched on how he manages to stay focused and continue working towards realising his gifted potential amidst the ups and downs in life. Full transcript of the interview is below. Paul: So Ashley, tell us a little more about how did you get into running? Ashley: I started running with one humble aspiration: to lose weight. As an overweight non-sportsman through most of school, I unfortunately got teased a lot and earned several nicknames. Running offered an opportunity to shed kilograms and gain self-esteem. Canoeing/dragonboat in Junior College (JC) was one of the few sports that accepted individuals like me without prior sport background, as long as you manage to survive the training. Survive I did, but I also remembered particularly enjoying the running warm-up. As a personal challenge at the end of JC in 2004, several teammates and I ran our first marathon. I struggled to finish in 4h29m, a below-average time, but still satisfying for a start. Every subsequent year I would run 5-10 minutes faster and lose a bit more weight, to the point where I thought I reached my “pinnacle” in 2008 by finishing in 3h34m. 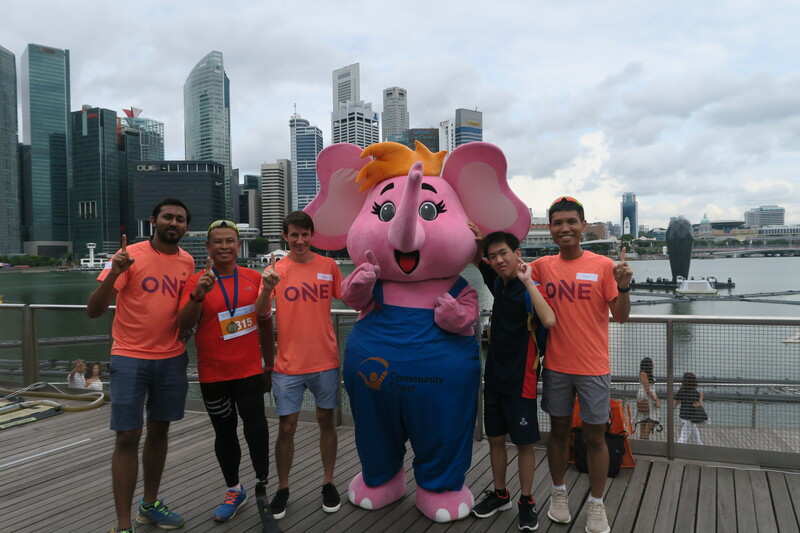 Everything changed when God put me in the right time and place, with Singapore Management University engaging Mr. Rameshon as running coach of the Aquathlon Club we had just setup. I had lost most of my weight in December 2008 already but the first thing he said to me was, “Ashley, nice to meet you, but this (pointing to my belly) needs to go down some more.” My ego was bruised again, but I proceeded to trust in him. For the first time, I had structure in my training, but more importantly he instilled a sense of self-belief in me. This new-found belief led to a miraculous turning point for me. From 2008 to 2009, I went from a 3h34m “average Joe” to a 2h51m local marathoner, finishing 2nd to Mok Ying Ren. On the podium, Mok even asked me on the podium what my name was. Conventional wisdom from books and from experienced runners told me such a dramatic improvement was impossible, yet this “wisdom” didn’t take into account the resolve of the human spirit. It was only in 2009 when we realized there was more potential to be tapped. Fast forward, my 2h32m12s personal best in 2015 is almost twice as fast as my first timing in 2004. I’ve been blessed to have been top local marathoner in 2012 and 2015, as well as representing Singapore twice at the South East Asian Games. I believe there are more things to come, with hard work and a long-term approach. Now my “why” to run is no longer to lose weight, but to fulfill all the potential God has blessed me with. Paul: The transformation from being a recreational runner to one of Singapore’s best. What learnings and takeaways have you gotten? How has it shaped your mindset towards sport and life in general? Ashley: The journey from 4h29m humble overweight beginnings to 2h32m national athlete has firstly showed me anything is possible with faith, patience, and determination. We have it within ourselves to transcend whatever our starting or current point is. When I was training in Kenya, I got to know a Kenyan athlete who told me this: “No matter how slow or injured we are today, tomorrow will be a better day.” I adopt that same kind of positive mentality in not only sports but also all other aspects, because sports is a metaphor for life. One of the most important thing in life is to know your “why”. My “why” as a national runner is to fulfil the athletic potential God has blessed me with. This gets me up out the door at midnight to do a 2h45m run in the cold rain, complete a track workout despite my body starting feeling fatigued, and to finish strong in the marathon despite the discomfort. In a similar way, my “why” as a Doctor of Chiropractic is to fulfill the optimum nervous system potential of each individual patient, no matter where they’re at along their health journey. This is how I can be 100% present with each patient even in the midst of a hectic day. I often share with my girlfriend Sandra that this phenomenon of “rising to the occasion” gives me joy and energy to serve in the clinic, even on days when I have to train twice. I’ve also come to appreciate that life is like a marathon. You have to be consistent, pace yourself, and realize that if you’ve had a bad patch you can bounce back. There are no quick shortcuts. It took me 10 years of hard work to reach the SEA Games, and many years of schooling to become a Doctor of Chiropractic. There is saying by Kenyan runners, “Train hard, win easy, the Kenyan way.” Contrary to belief, it’s not genetics, diet or altitude that makes Kenyans the best distance runner. It boils down to honest hard work. Running is a means for them to put food on the table, a job, even likened to going to war. They and their families sacrificed so much for that small shot of hopefully making it to the top one day, and throughout the journey the belief and confidence that someday they can be the best remains unshaken. In fact, my Kenyan friend couldn’t understand the concept of recreational running, because there’s nothing recreational about their training intensity there! That champion’s mindset is embodied in their drive and single-minded purpose which revolves around training, eating, and sleeping. We need role models to look up to, just like how every Kenyan runner starts out being looking up to their village neighbor who has gone on to become a World Champion. My marathon hero has been ex-world record holder Wilson Kipsang, whom I had the pleasure of speaking to twice in Kenya (I love how humble and down-to-earth he is despite his achievements). My role models closer to sunny Singapore have been my mother (who served others with positivity despite cancer), father (who took up running in his 60’s to become age-group 10km champion), and Mr. Rameshon. Another takeaway I have is that all actions follow your thinking. So, we should think positive thoughts rather than self-defeating ones. For example, in the midst of a difficult race moment I’ve shouted things to myself like. “I’ve got this” and “every step is a blessing”). If I were to say, “this isn’t my day” or “why am I doing this”, I am already framing my behavior to become a self-fulling prophecy. The brain can’t differentiate between “do” or “don’t”, it just processes that thought and it manifests. On a related note, I’ve learned that “conventional wisdom”, well-intentioned as they may be, may not always be helpful to forging a champion’s mind. During my 2009 Ironman debut in Langkawi, experienced triathletes laughed at my intentions of finishing under 11 hours. I did not let that negative energy affect me so I let my legs do the talking, finishing in 10h48m and placing 4th in the international age group. Life’s pre-conceived limits can indeed be challenged. 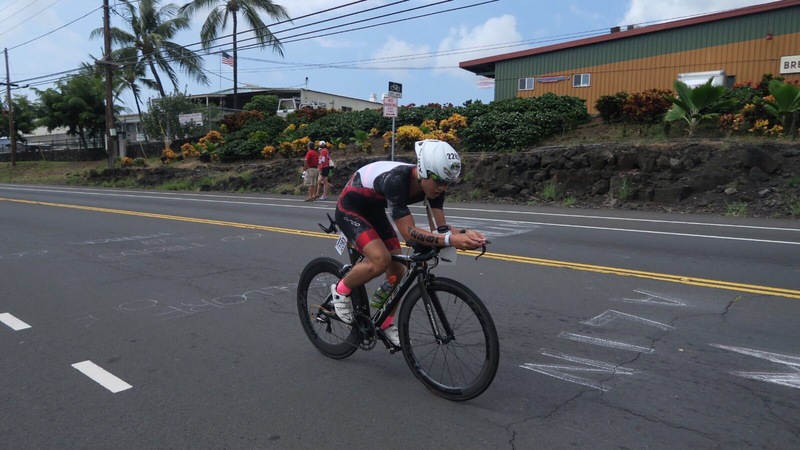 Paul: How have you juggled between being a Doctor of Chiropractic and being a top athlete? What are the common threads that drives you to excel in both these areas? Ashley: The common thread is that success is based upon moral character and values. You may be athletically talented or book smart, but without a strong core, you won’t get far. Values that are important to me include: determination, focus, resilience, and integrity. Dogged determination is encapsulated by what my father used to instill in me as a child, “It’s not the size of the dog in the fight, it’s the size of the fight in the dog.” Mental toughness is built on doing the thing that is hard over and over again, especially when you don’t feel like doing it. I translate this determination into my running and patient care. It also helps when you have a routine; allow some room for flexibility but you must be invested in consistency. Focus is another value that is crucial especially in our time-strapped lifestyles. I often get asked what I think about during a 42km race or 3 hour training run; the answer is hardly anything at all. My mind is not filled with thoughts about the past or future. Instead, I am focused on the present moment, the here and now: breathing patterns, running the tangent on course, running tall and strong, the immediate surroundings, and the kilometer I am in. As an overweight runner, I used to fixate on my reward at the end of the run (like Char Kway Teow) or ponder the stresses of the past. This distraction technique to disassociate yourself from discomfort can be initially helpful for new runners, but is hardly useful nor beneficial at the elite level. In a similar way, what got me through my rigorous doctorate studies was focusing on quality, not quantity. Because I was training twice daily, I did not have the “luxury” of spending lots of time on my studies like my classmates. So instead of reading the material over and over again (which my peers frequently boasted about), I focused on fully understanding the conceptual links between different chapters, before I flipped that page. I took the moments before each examination as a race, literally covering my ears when peers talked about how ill-prepared they were, visualizing success, and trusting in my own quiet preparation. The results spoke for itself as I was often the top academic scorer, despite having the least quantity of studying time. It’s about quality, not just quantity, just like in training! Another value is resilience. I take cue from what Rocky Balboa said in his movie as an underdog boxer: “It ain’t about how hard ya hit. It’s about how hard you can get hit and keep moving forward. How much you can take and keep moving forward. That’s how winning is done!” I have suffered many setbacks in running, which is part and parcel of being human. What matters more is how we bounce back from such episodes to become not just a stronger athlete, but a stronger person. Last but not least, integrity as crucial in sports and in work. Like how Prime Minister Lee quoted me during the 2015 National Day Rally, “It’s not always about the medals, but what you do in between.” Rather than merely chasing the medals, grades, or career success, focus on doing good during the “in between” moments, because “how you do anything in life (even for a split moment) is how you do everything in life.” Life is a 24/7 series of choices, so hopefully we can exemplify sportsmanship on the field and be ethical off the field. Paul: Can you share with us some compelling stories of overcoming challenges – be it in your sporting or professional life. Ashley: My biggest challenge was overcoming the passing of my mother who passed away in 2010, after suffering from 5 years of Stage IV cancer. She was my number one fan who supported me in local and overseas races, travelling with me to the 2008 Ironman 70.3 World Championships in Florida to cheer me on in the hot sun despite her difficulties moving around. Her passing was hard on the family especially since she her health took a sudden turn for the worse, catching all of us even me off guard. I contemplated taking the rest of the university term off and foregoing my upcoming competitions. Then I thought about what she would have wanted me to do, which was to make the most of what I’m blessed with. I went on to finish the term strongly, and won my age group at the Singapore Ironman 70.3 in memory of her. I apply the same positive “serve others first” mentality to tough situations, whether contemplating to drop out of the 2015 SEA Games Marathon due to a hamstring pull midway, or persevering in the midst of Board examinations. I also learned from my 2012 Texas Ironman episode the meaning behind the Serenity Prayer: “God grant me the serenity to accept the things I cannot change; courage to change the things I can; and wisdom to know the difference.” I was having the race of my life, until the 30km mark of the 180km bike leg; a competitor triathlete clipped my rear wheel at high speed, which didn’t cause me to fall but I started suffered frequent quadriceps spasms the moment I started pushing harder. It was frustrating knowing that I could bike harder but couldn’t, yet I told myself to “roll with it” because the nature of sports is unpredictable. I eventually finished in 10h3m29s, just a few minutes shy of the national record, but taught me a life lesson. Life, like sports, can be unpredictable; we just have to take a deep breath when things happen beyond a control, keep moving forward, and do it with a smile! Paul: How have you leveraged the mindset of a sportsman to his professional life? Or is it the other way around? Ashley: It goes both ways. I happen to have been a runner longer than a practicing Doctor of Chiropractic, so I have a bigger bank of sporting experiences to tap on. Since my first training stint in Kenya, I’ve been wearing a wrist bracelet with the Kenyan flag and the word “strong”. This is my visual cue whether when running or serving patients. During a marathon I repeat my mantra “strength and grace” (mom’s strength and God’s grace). I make a distinction between goals and targets. According to this book called “Magical Running” (Bobby McGee), goals are “who you want to be”, versus targets being “what you want to achieve”. Life is more fulfilling working towards goals, rather than just targets. Having a target like qualifying for the 2020 Olympics keeps you honest in your preparations, but that involves things that are sometimes beyond my control (e.g. weather, time off from practice for full-time training). Having goals, like “to grow as a better athlete” or “to be resilient in the face of adversity” are more all-encompassing and center on your core; most of all goals are more within my control. Similarly in the clinic, I focus on goals rather than pure targets. Last but not least, visualization is key to success. Always have the end in mind before taking that first step. This process invokes positive mental imagery, using all senses to visualize success. Mr. Rameshon made me aware of how powerful this is, because according to Napoleon Hill, “Whatever the mind can conceive and believe, it can achieve.” The night before the 2015 New Orleans Rock ‘n’ Roll Marathon, in the middle of the race visualization he got me to visualize seeing 400 Facebook like’s on my post-race picture. 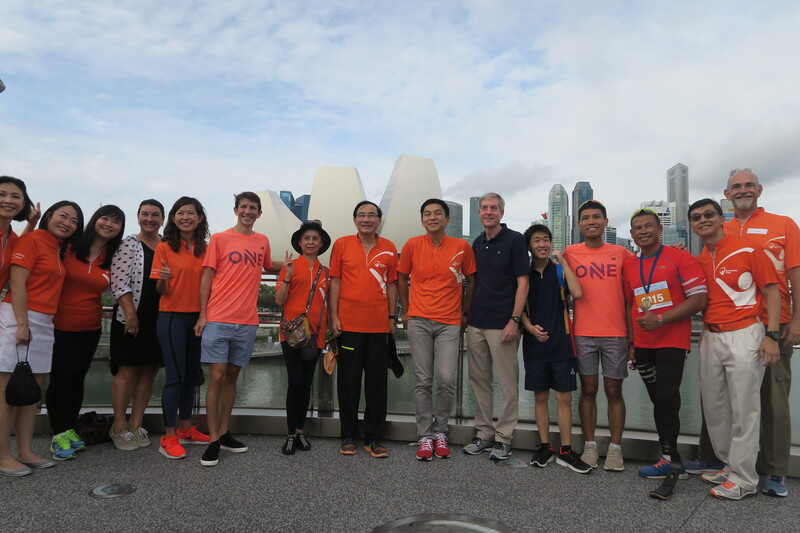 This was unorthodox but I trusted him so I visualized it; I went on to run my 2h32m12s personal best, was presented with the Singaporean flag as overall runner-up in an international marathon… and yes, 400 like’s happened! A 2008 study by Dr. Henry Davis 2008 study revealed that elite athletes watching videos of successful performance showed greater increase in neural activity of the right premotor cortex which plans actions. See, feel, then enjoy success. Similarly when I head into a busy day in the clinic, I take cues from my pre-race routine (eat, visualize, shower, warm-up, pray) to prepare my headspace. I look at the patient schedule in advance, visualize a smooth flow, picture exciting health transformation stories, “keep my head” even with patients waiting in line, and even sometimes say a prayer before taking care of a complex case. What I do in the clinic is like a race, and more. Paul: What are some of your aspirations that have yet to be fulfilled? Ashley: I hope to qualify for a major games beyond the regional level like the Asian Games, Commonwealth Games, and eventually the Olympics. 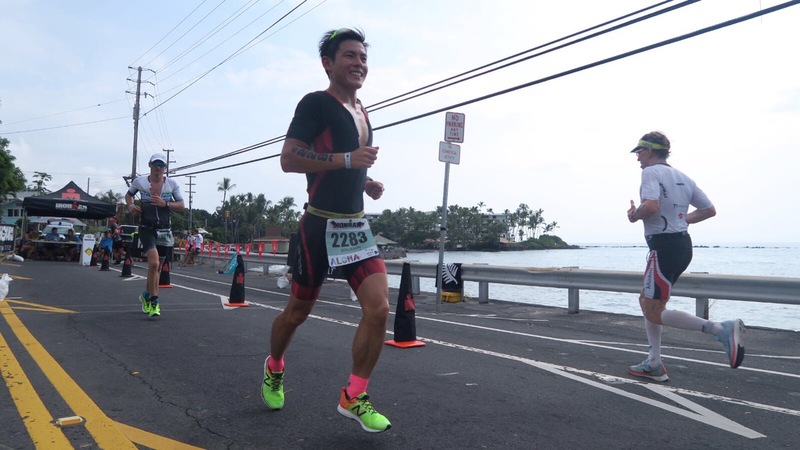 If I still have it in me when my competitive running days are over, I would like to try qualifying again for the World Ironman Championships, which I narrowly missed by one place in 2010. I also hope to go back to Kenya to re immerse in the culture. Paul: Last but not least, what is a Champion’s mind to you? Ashley: The champion’s mind is a state of being innately connected to oneself, living one’s “why” and purpose. To quote a bit from Dr. Jim Afremow’s book, “The Champion’s Mind” – Your mental game matters the most as physical ability or even naturally gifted talents alone cannot achieve innate athleticism. A champion MAKES greatness happen, despite what may seem like impossible odds. A non-medalist says, “One day I will,” whereas a gold medalist does it and says, “Today I did.”. There will be some days you won’t feel motivated or your nerves will get the best of you but that is your moment of truth (even Usain Bolt said if you’re body doesn’t feel up to it in training that’s potentially the winning moment). Anyone can either act like a champion or take the path of least resistance and not feel challenged. Ultimately, “how you do anything in life is how you do everything in life. Champions just smile; it makes them feel better (just like how German marathoner Anna Hahner keeps smiling throughout her painful PB-setting race). 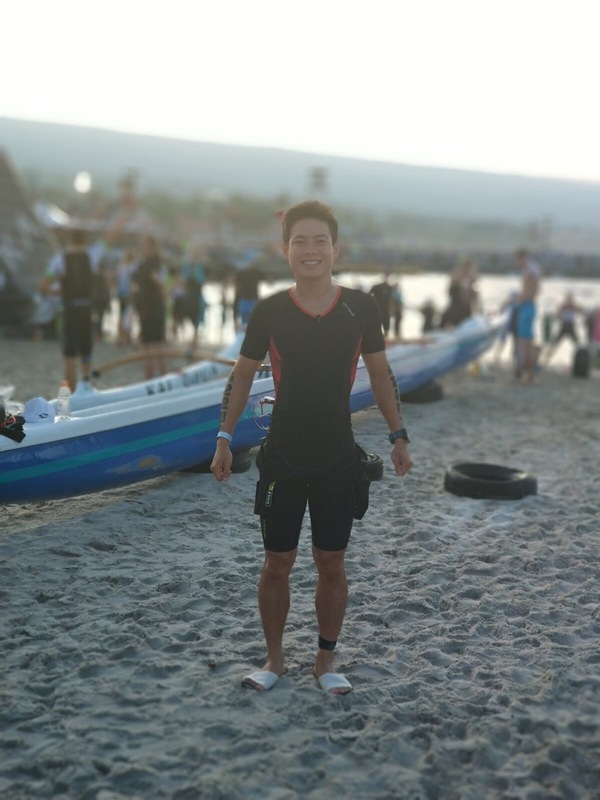 From overcoming the grief of losing one of his dearest to cancer, to running a chiropractic practice while training twice a day, national-marathoner, Ashley Liew, has been in the sports for 13 years since the day he started with nothing more than an intent to trim the flab. Today, he is a multiple Stanchart Singapore Marathon podium finisher and one of Singapore’s fastest marathon runner. How did Ashley stay focused and achieve all this amidst the ups and downs he has gone through? 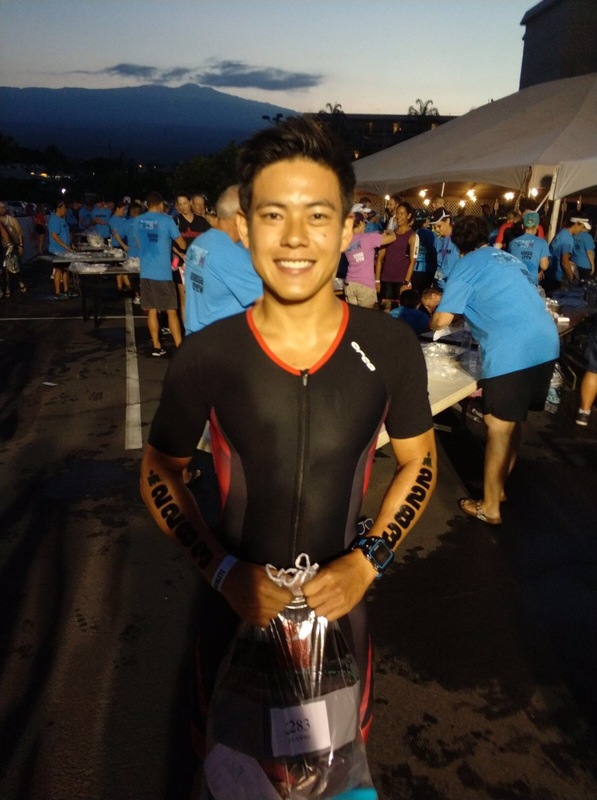 Ashley shares his winning mindset on The Champion’s Mind with 938NOW radio host Paul Sng. Below are some excerpts from the interview. Ashley was quick to point out who he thinks of whenever he is pounding the gravel beneath his feet one step at a time. His mother passed away in 2010 and she has always been the biggest influence on his life. Always a soft spoken but a staunch supporter of all my endeavours, she had supported him at races as far away as the 2008 Ironman 70.3 World Championships in Florida. Her passing was hard on the family especially when her health took a sudden unexpected turn for the worse. At one point Ashley even contemplated taking the rest of the university term off and foregoing my upcoming competitions. Then he thought about what she would have wanted him to do, which was to make the most of what he has been blessed with. Ashley believes he has taken on a lot of her qualities since her passing, especially humility and a sense of quiet determination, so a big part of my running is in memory of her. Instead of a lifelong endless pursuit of the medals, grades, or career success, I like to focus on doing good during the “in between” moments, because life is ultimately a sum of the choices you make and hopefully, as athletes we can embody this spirit by exemplifying sportsmanship both on and off the field. Another takeaway I have is that actions follow thoughts. So it is important that we should think positively rather than ruminate on self-defeating ones. For example, in the midst of a difficult race I’ve had moments where I tell myself – “I’ve got this” and “every step is a blessing”. If I were to say, “this isn’t my day” or “why am I doing this”, I am already framing my behavior to become a self-fulling prophesy. The brain can’t differentiate between “do” or “don’t”, it just processes that thought and it manifests in our actions. If you’ll like to catch the repeat podcast just click here. You can also access the interview transcript here!